Yesterday marked a tentative agreement by the OPEC oil cartel to slow production into 2019 in an attempt to stem the flow of cascading oil prices. However, their plan fell flat as oil prices continued to tumble at the start of today’s session. So whats going on? As it stands, heavyweight producer, Russia, has not agreed to cut production and Iran has refused outright to reduce its output until its sanctions are lifted. This has resulted in an underwhelming effect on investors who continued to sell oil viciously. Investment bank, Jefferies, mentioned that without a meaningful cut in production, there would be little hope of “reversing the overwhelming bearish sentiment”. They also added that there was considerable downside for oil prices if no agreement is reached. Oil prices have suffered a sizeable 30% decline since October due to a massive supply glut as oil producing nations push out record levels – and we all know too much supply pushes prices down. Last week the US exported more crude oil and fuel than it imported for the first time since 1973. 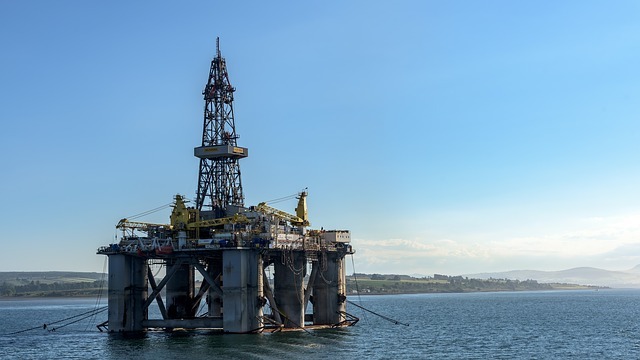 US production now sits at a whopping 11.7 million barrels per day, making them the largest oil producer in the world….now that’s quite something! OPEC had better start convincing Russia to cut supply or we may see an even bigger slide in prices to come. All we know is cheaper fuel keeps the consumers and manufacturers smiling all the way to the bank! 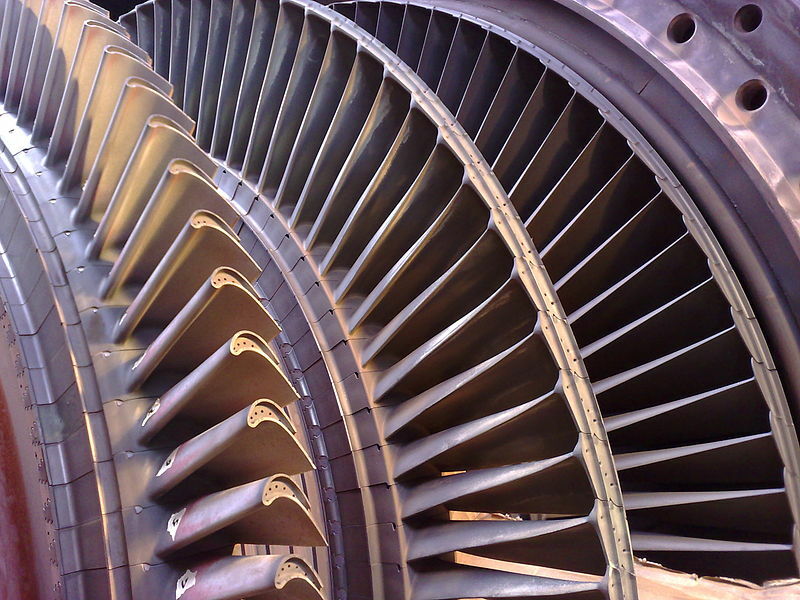 Recent failures of General Electric’s latest gas turbines have forced more than 18 utilities companies to shut down operations while GE conducts repairs. Investors have cut the once $500 billion company down to a measly $66 billion, and there’s no signs they’ll be letting up any time soon – Ouch! Amidst large financial losses and a drop in demand for its products, a global failure is the last thing GE needs right now. CEO, Chuck Nugent downplayed the event, calling it ‘early maintenance’ rather than an outright failure…nice try Mr Nugent. Their gradual decline over time is now accelerating as they have moved from the top global turbine supplier to a lowly third place. GE has lost 58.39% of its value this year alone, and investors are becoming wary of its mounting debt pile and poor credit rating. GE has allocated $480 million to deal with the issues, but at the rate its going it needs to make some serious adjustments before the whole company goes belly up! Gold Prices have have been on the up and up this week, clocking up their best week since August. 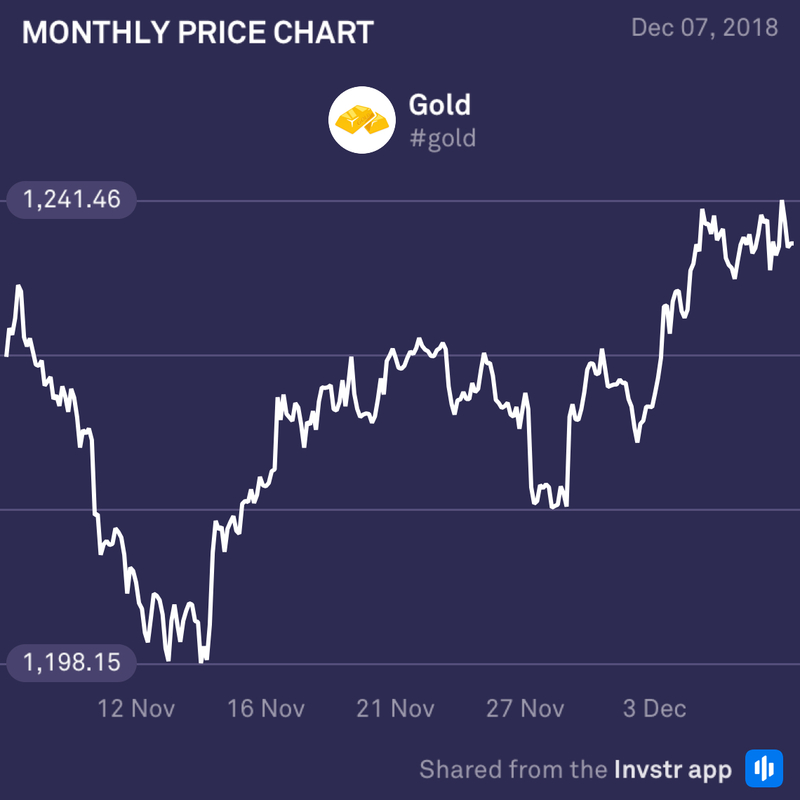 Weakness in the dollar has pushed investors to seek safe-haven from much of the recent market volatility, sending gold prices higher. Investors will be watching the Fed for a pause in the rate hike cycle which may attract more investors to jump on the gold train. So keep your eyes peeled! US information technology dinosaur, IBM, has managed to turn a decidedly choppy week into a positive one. The stock rose 1.9% yesterday as buyers piled in. 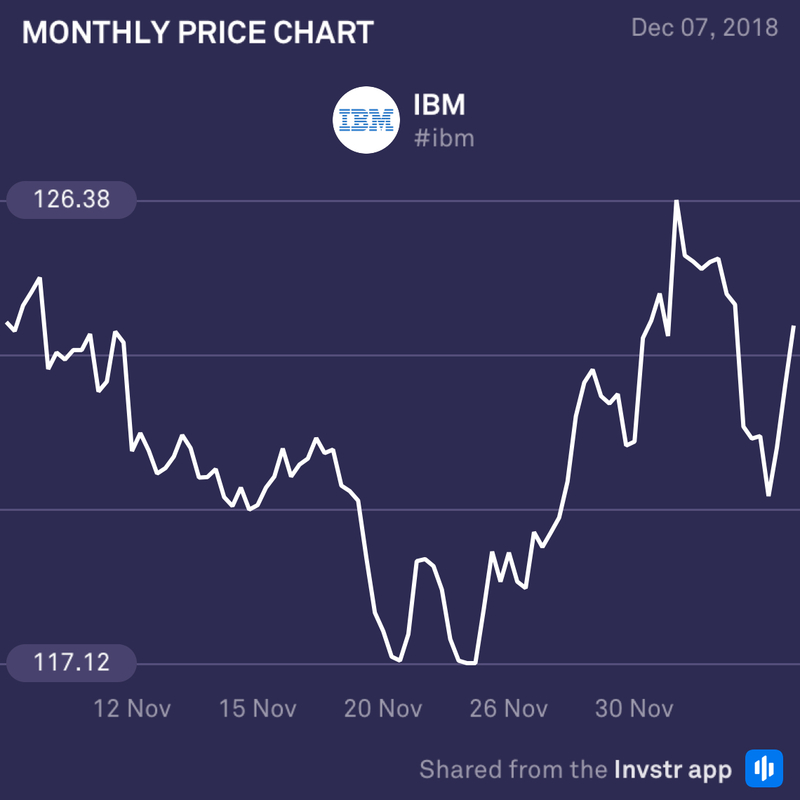 IBM is trading a long way below its October peak and many investors are starting to recognise the considerable upside available should IBM recover.